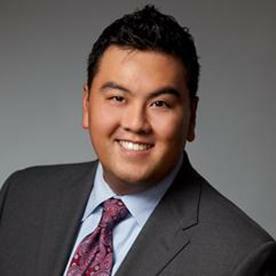 Mark Hwee : Umpqua Investments Inc.
Mark believes in the importance of a solid financial plan that provides a platform for investing. He emphasizes sophisticated planning and asset allocation, which allow wealthy investors to mitigate market volatility, diversify, and limit risk. Mark manages investment assets for individuals, families, small businesses, trusts and pension plans. He establishes a relationship with each client and designs a personalized portfolio to pursue their financial goals, including short- and long-term needs. He then manages each portfolio with strict adherence to jointly established guidelines. While some portfolios are designed to reduce taxes or maximize current potential, others are more focused on growth. Mark graduated from Seattle University in 2001 with a Bachelor of Arts in English with a focus on creative writing in 2001. While attending SU Mark was also a member of the Varsity Tennis Team. Mark was born and raised in Portland, Oregon and attended Lincoln High School in downtown Portland. He and his wife Won have two children and a beagle and make their home in Lake Oswego.